Allah gives power to whomsoever He pleases, and takes itaway from whomsoever He pleases. Allah says, “..Thou enduestwith honour whom Thou pleasest, and Thou bringest low whom Thou pleasest.” (AL-I-‘IMRAN, 26), He honours the obedient and degrades the disobedient; He is the BESTOWER of Honour, He says, “..but honour belongs to God and His Apostle, and to the Believers.” (MUNAFIQUN, 8); whoever is honoured by Allah is mighty, “..and such as God shall disgrace, none can raise to honour.” (HAJJ, 18). The root of the word mu‘izz is azza which means to strengthen, support and give might. Allah says, “..but We strengthened them with a third.” (YA-SIN, 14). The praised might is that of Allah; vain might is that which is fullof arrogance as mentioned in the Quranic verse, “When it is saidto him ‘Fear God’ he is led by arrogance to more crime.” (BAQARA, 206), here the implied honour is disgraceful and full of arrogance. Moreover, there is praised humiliation; Allah says, “..lowly with the Believers, mighty against the Rejecters.” (MAI’DA, 57). The humiliation mentioned here is void of oppressionbut is voluntarily undertaken as the believers are humble to Allah, Praise and Glory be to Him. The Arabic word muzill also means to make things submit or yield. Allah says, “It is He Who has made the earth manageable for you.” (MULK, 15), in this verse (manageable) means that Allah has given man the necessary intelligence and has made the earth tractable to that intelligence, “And that We have subjected them to their use, of them some do carry them and some they eat.” (YA-SIN, 72), “..and the branches of fruit there, will hang low in humility” (INSAN, 14). As for the reprehended humiliation, it is disgraceful as it is the upshot of oppression. Allah relates what the rejecters will say,“..before we were humbled and put to shame” (TA-HA, 134). Azalla means to degrade, to put someone to shame, to vanquish, humiliate and demean. Allah says about the rejecters, “..will be among those most humiliated.” (MUJADILA, 20). 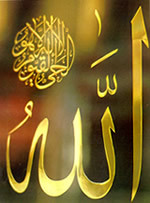 The two names of Allah (the BESTOWER of Honour, the DEGRADER) are two attributes related to the Divine Acts. It is conspicuous that attributes that are related to the Divine Acts are contradictory showing that thepower and might of Allah are infinite; He possesses the actionsand the counteractions. Allah grants life and death, inflicts harmand gives benefit, lowers and exalts, degrades and honours; He withholds and enlarges, originates and restores; He has the power to do what He pleases; as some people said, Allah is obliged to do nothing. It is not logical to assume that it is Allah’s duty to do anything. Duties ought to be done otherwise harm would happen sooner or later; this is impossible with respect to Allah, because He is theOne Who assigns, orders, and prohibits. He has the power to charge uswith trusts, and all what occurs in the universe is but His making, creating,and invention. He created people, their abilities, and all their movements;all actions done by any created being are also Allah’s creation;He says, “God is the Creator of all things” (ZUMAR, 62), “But God has created you and your handiwork” (SAFFAT, 96). All incidents, knowledge, existence, and non-existence are but His Creation, are known to Him, and happen because He wants them to happen; all what He does is never void of wisdom, even if it is concealed. Praise and Glory be to Him, He is the BESTOWER of Honour and the DEGRADER, He is Allah.